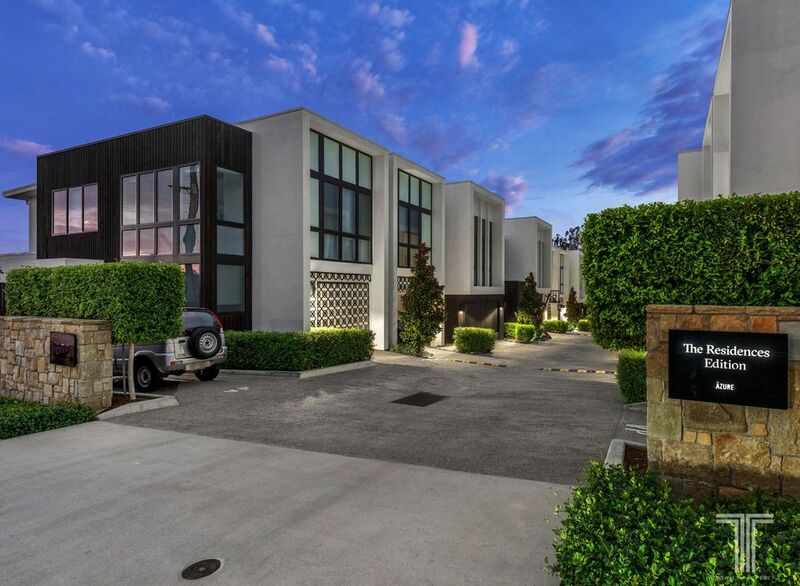 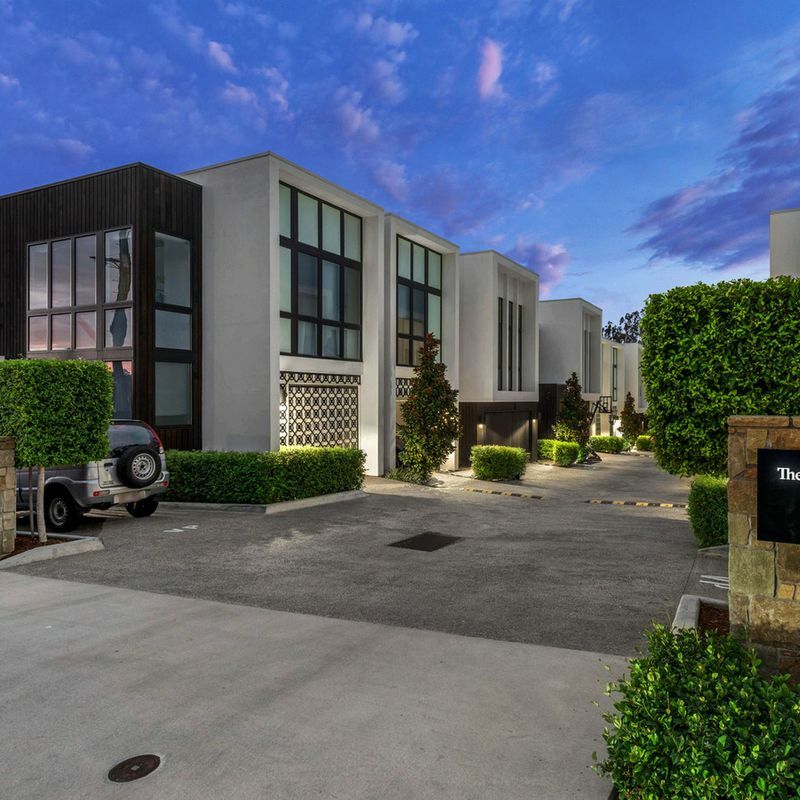 Located within the recently completed ‘The Residences’, this ultra-stylish and executive townhouse presents sophisticated living in a premium position. 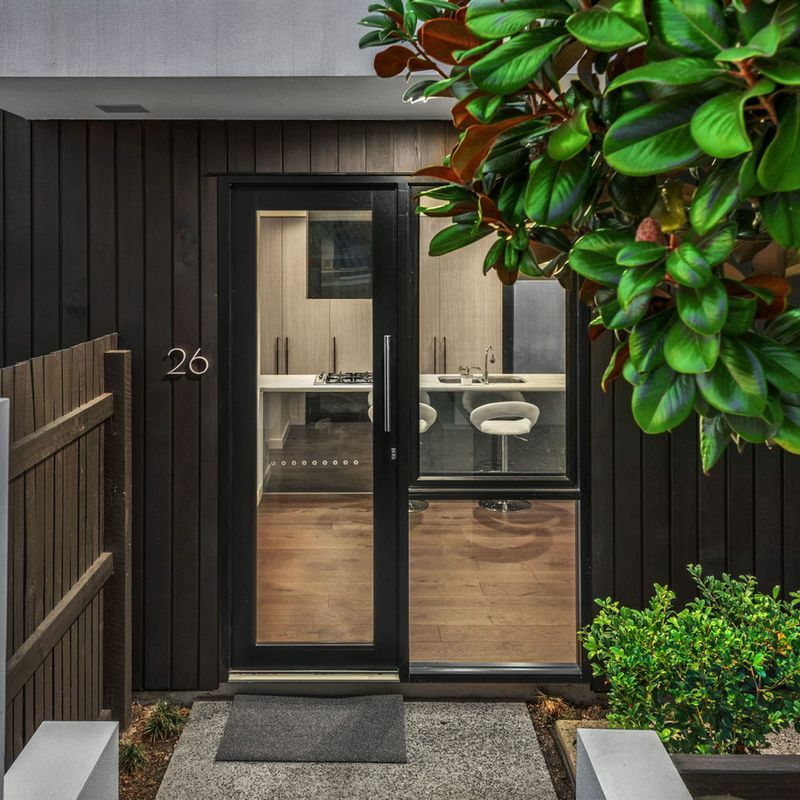 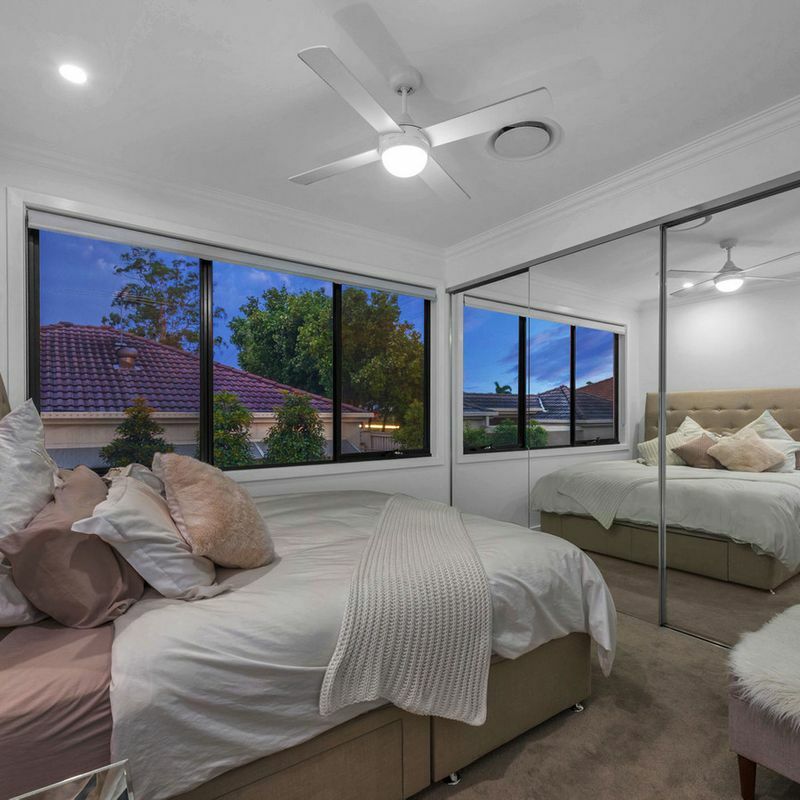 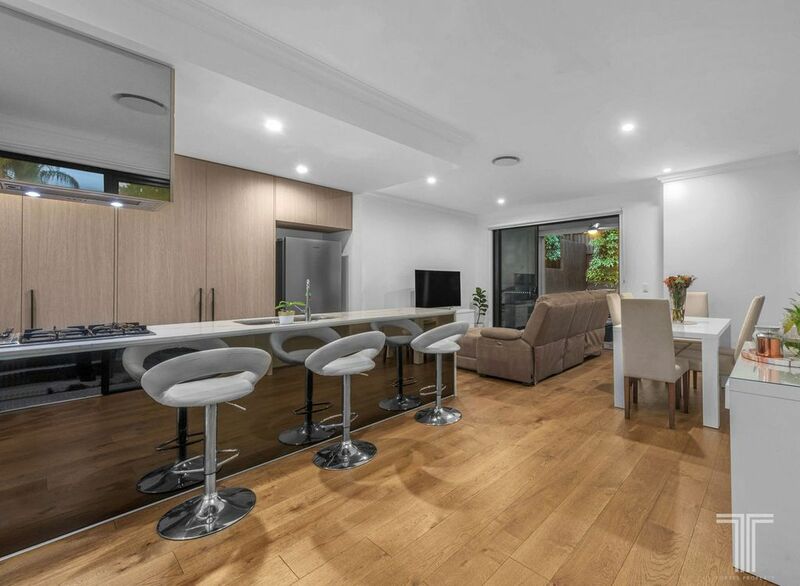 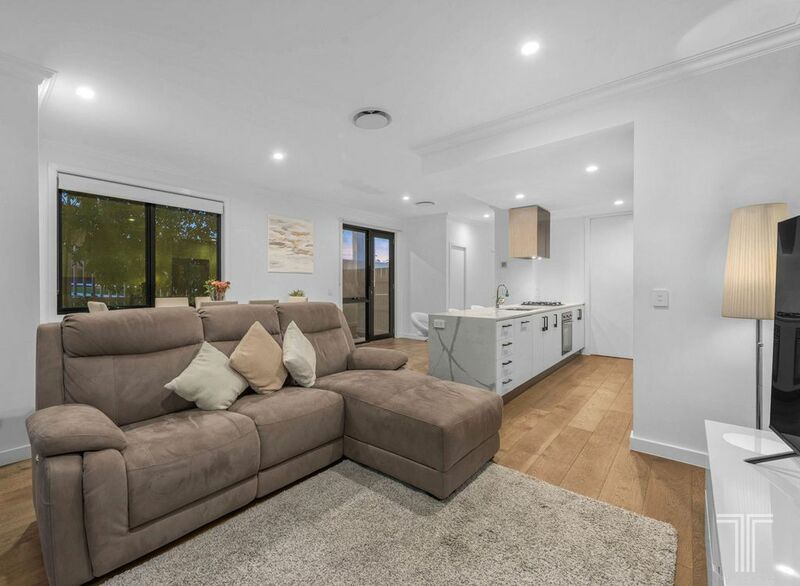 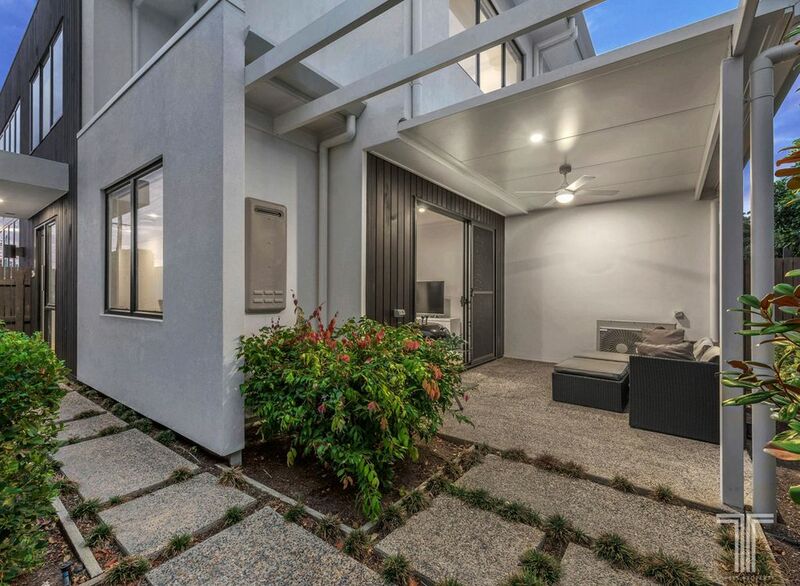 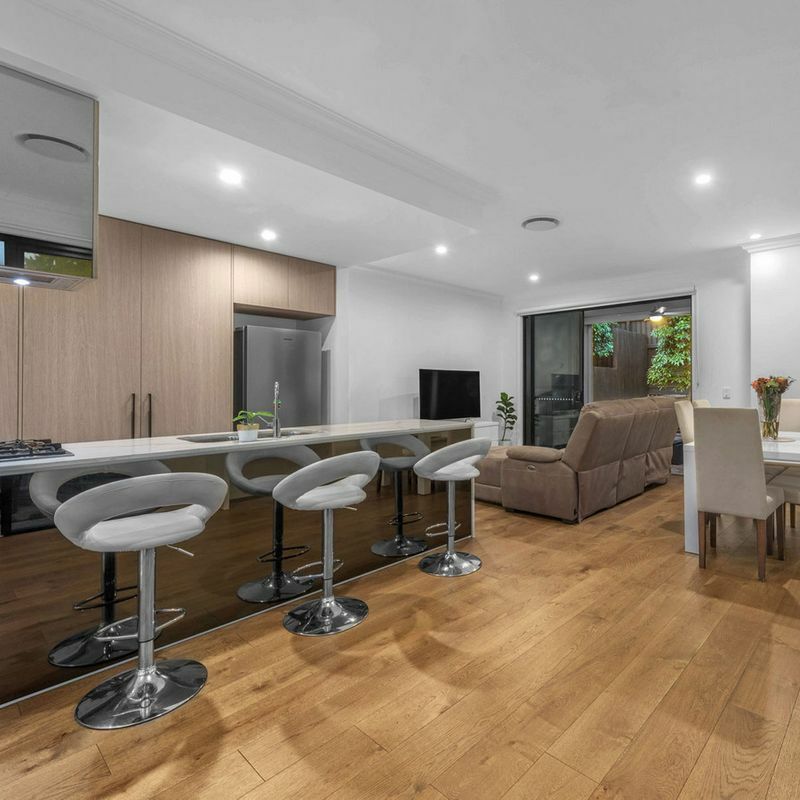 Beautifully finished and immaculately presented, this home seamlessly fuses architectural design with contemporary style to offer privacy and convenience with a modern flair. 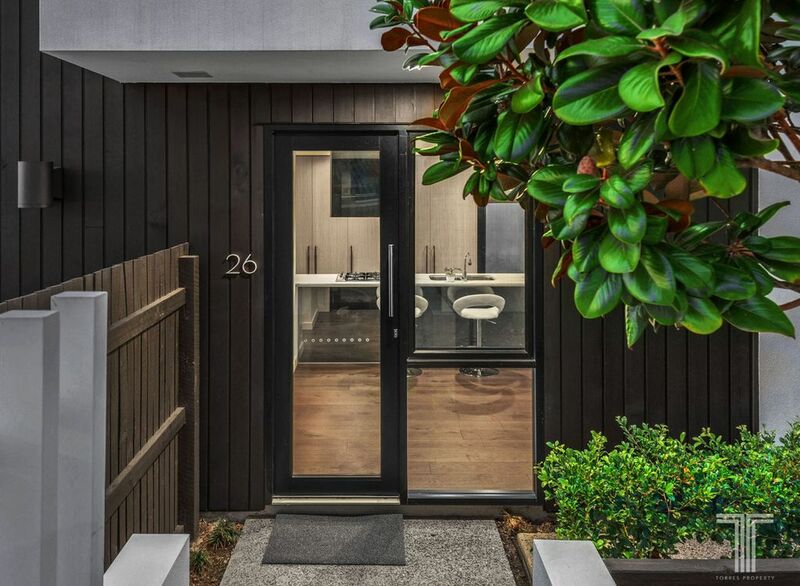 Spanning two spacious levels, the ground floor reveals a free-flowing lounge and dining area with striking timber flooring and a wealth of natural light. 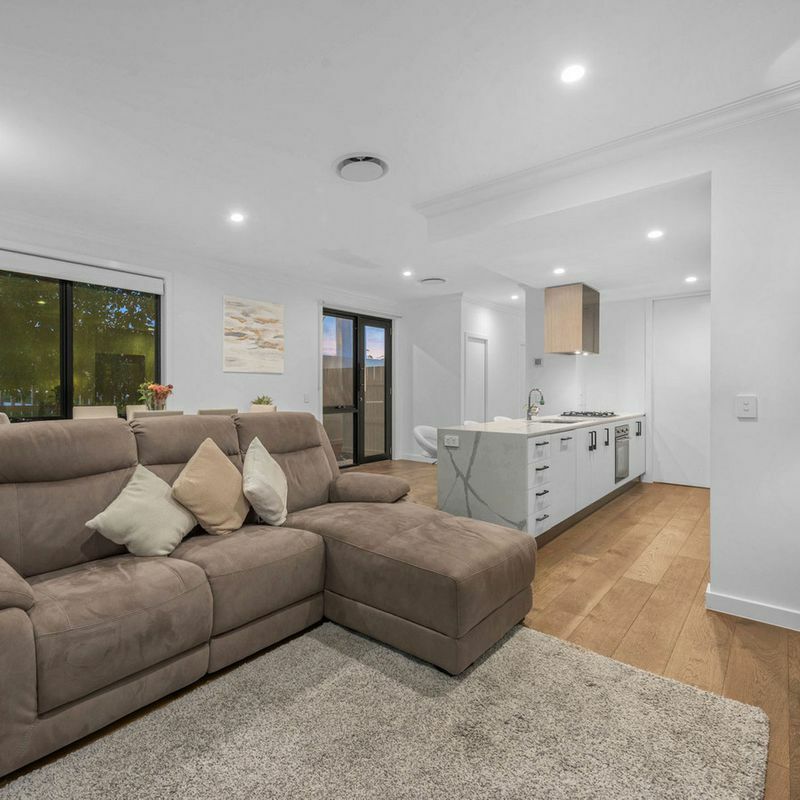 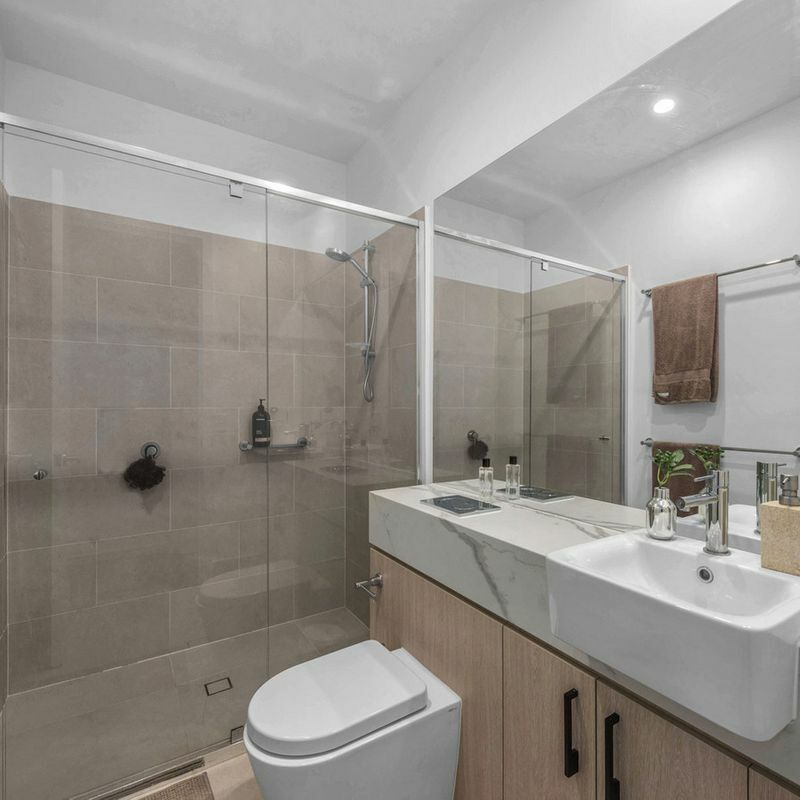 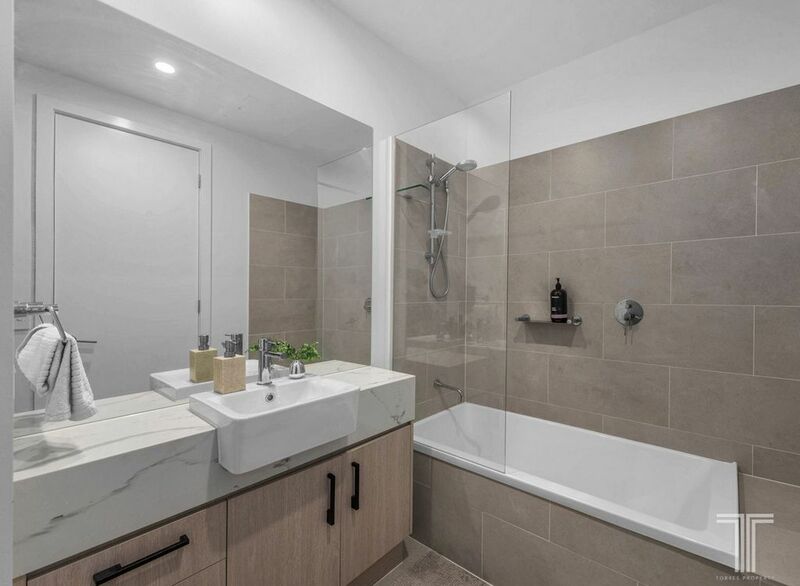 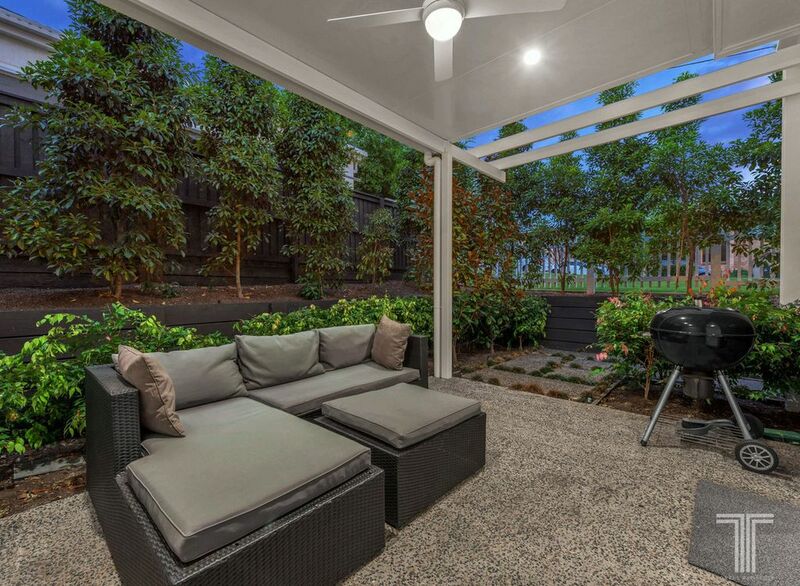 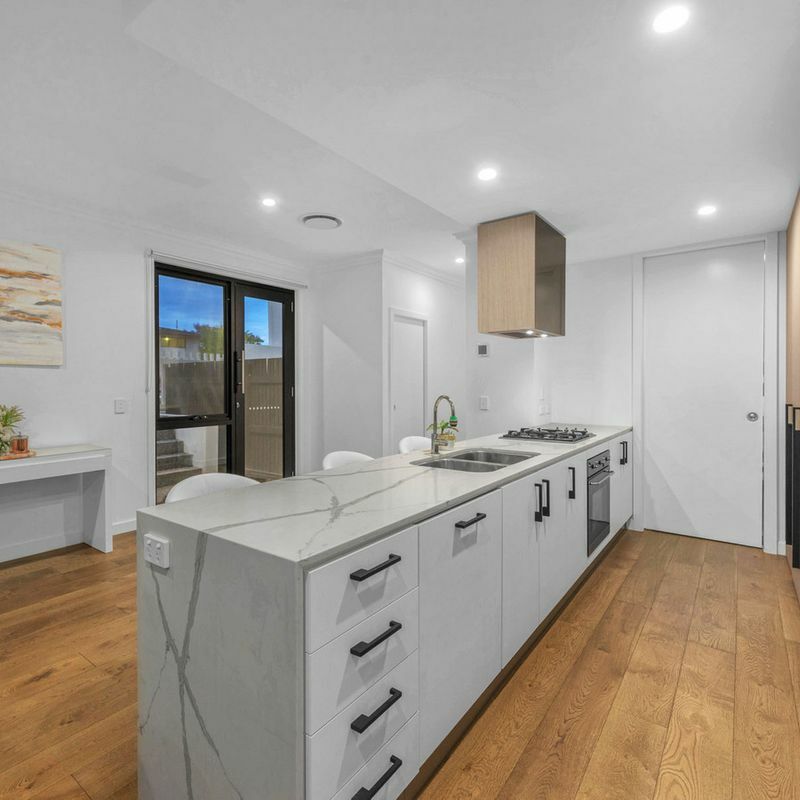 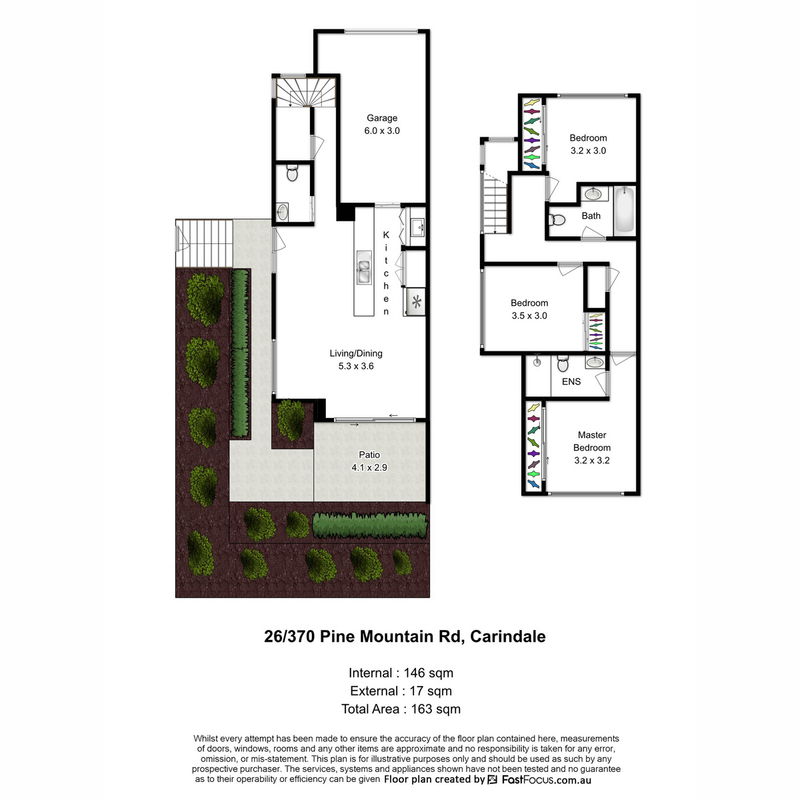 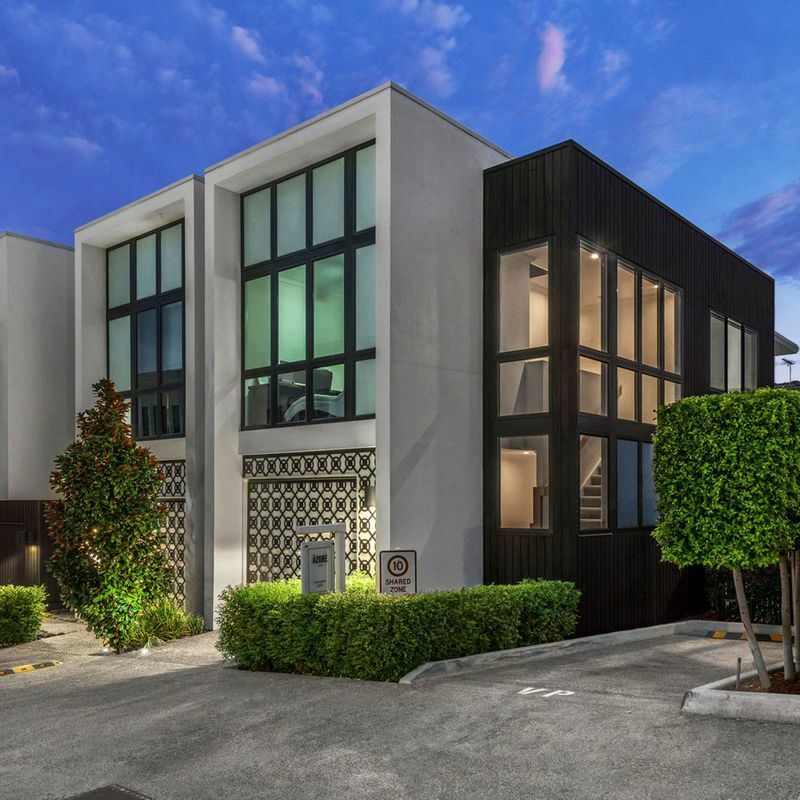 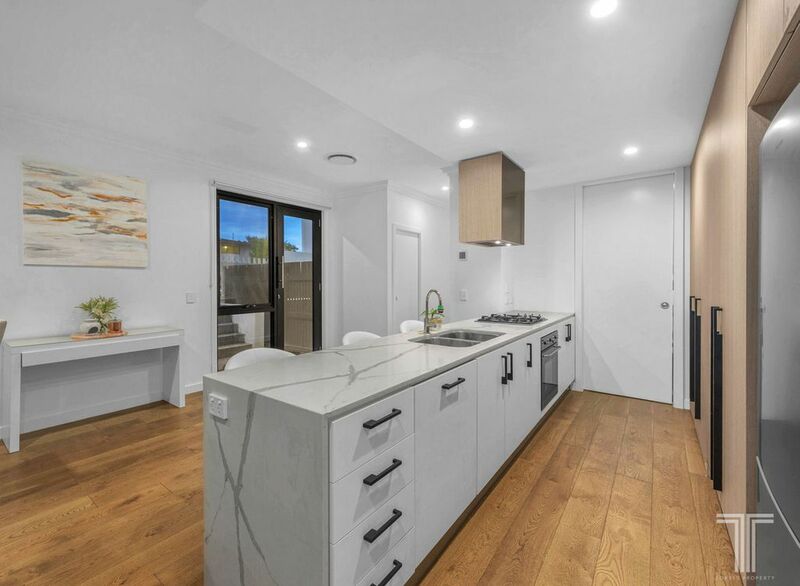 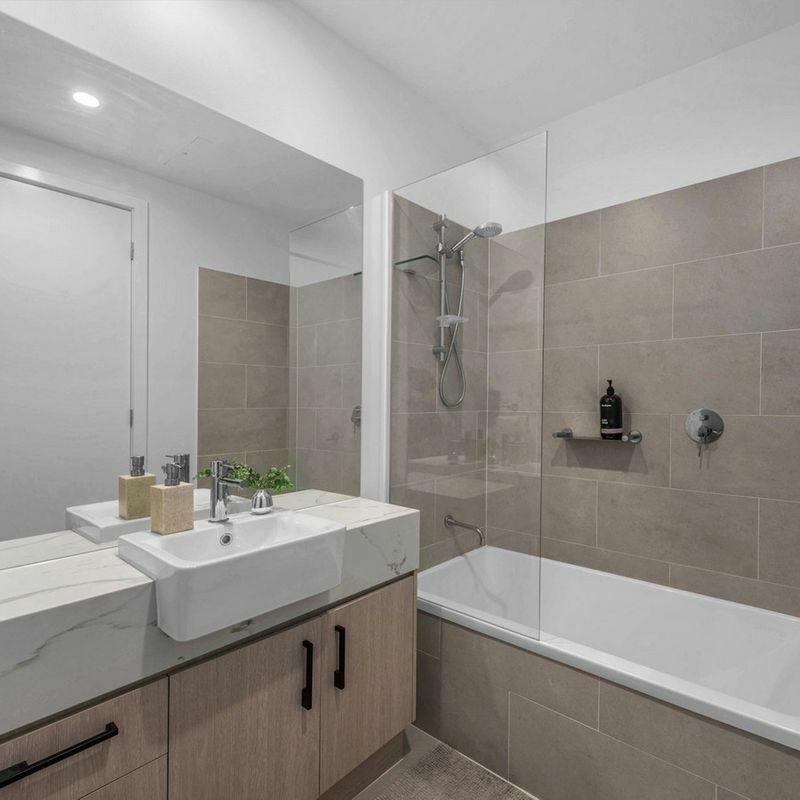 Adjoining the elegant and modern kitchen with sleek marble benchtops, island bench, rows of cabinetry and quality appliances, residents can relax and dine inside or step out onto the private outdoor patio. 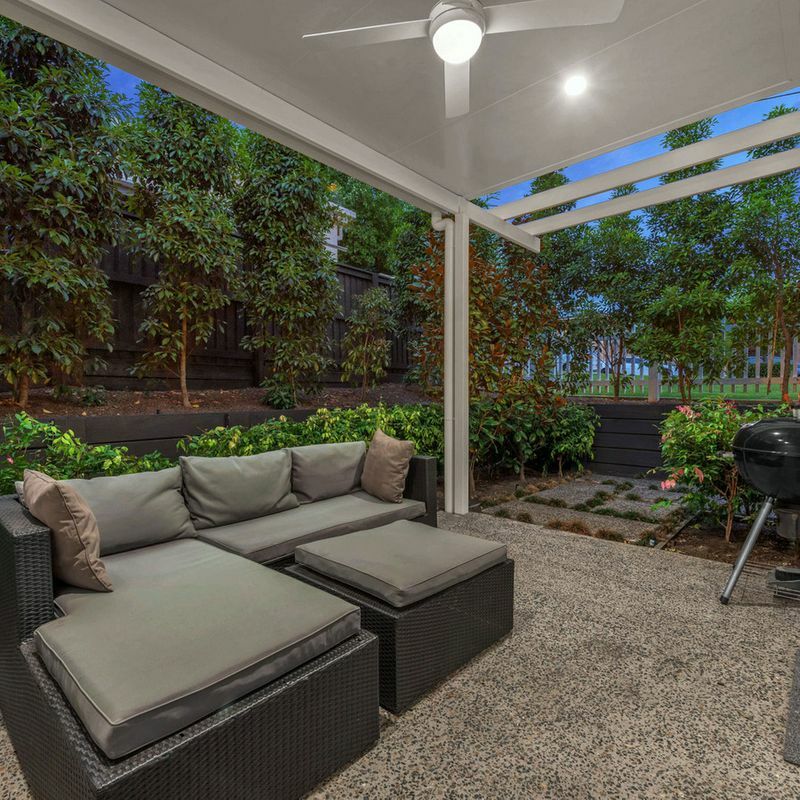 Overlooking the manicured and scenic gardens to create the perfect outdoor setting, the patio is ideal for alfresco dinners, morning coffee or afternoon drinks. 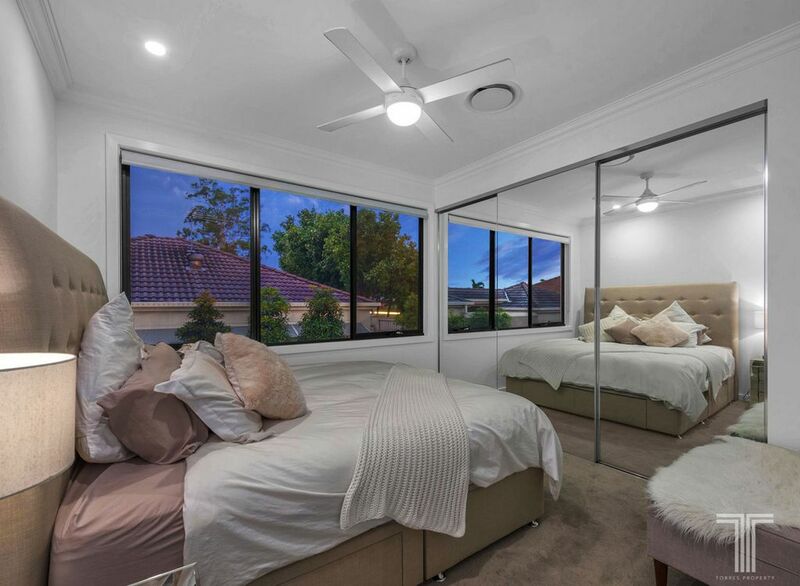 Situated on the upper level, three well-sized bedrooms all feature carpeted flooring and built-in robes. 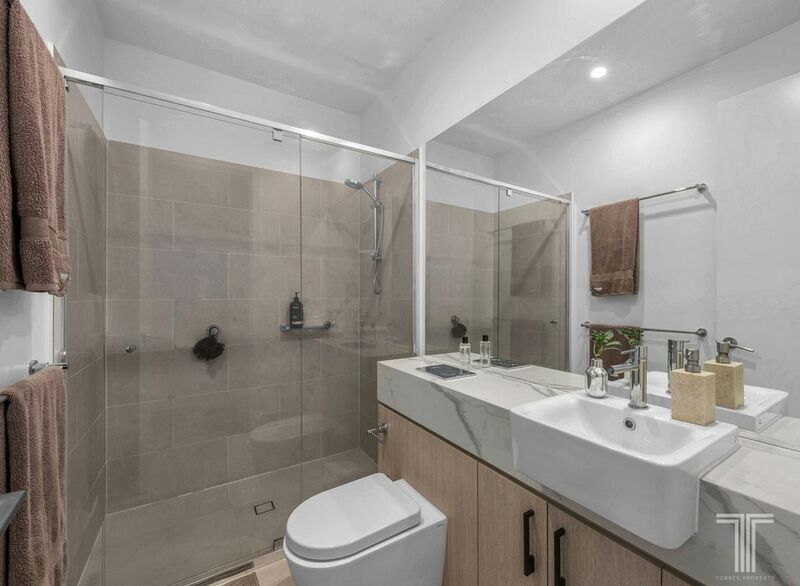 With the master also enjoying an ensuite, a main bathroom services the rest of the floor. 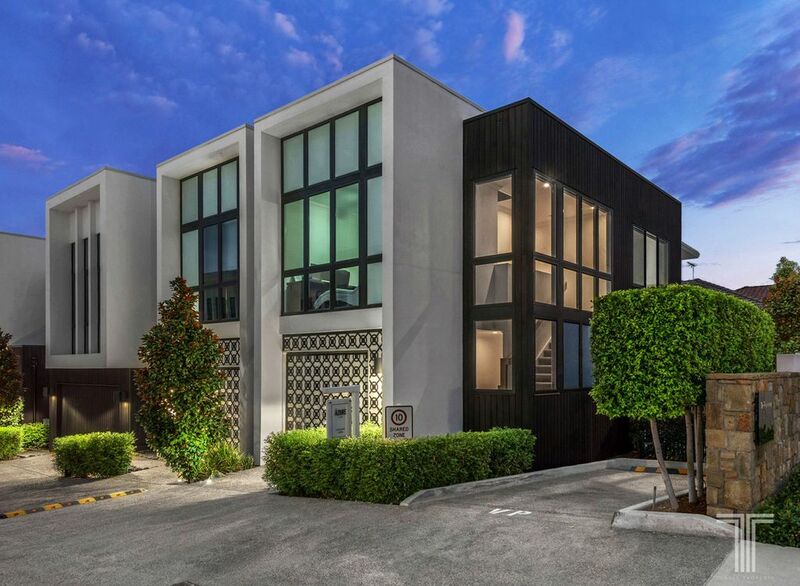 Further, this townhome features ducted air-conditioning, downstairs powder room and remote-controlled garage. 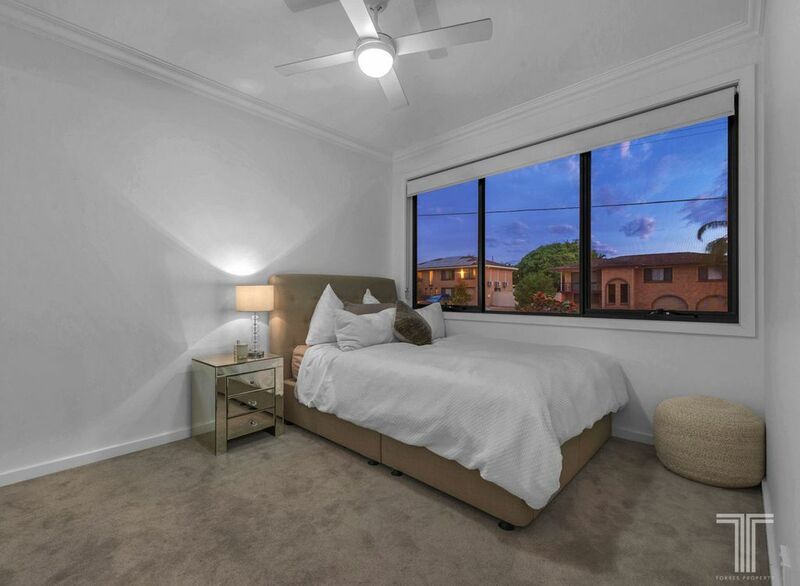 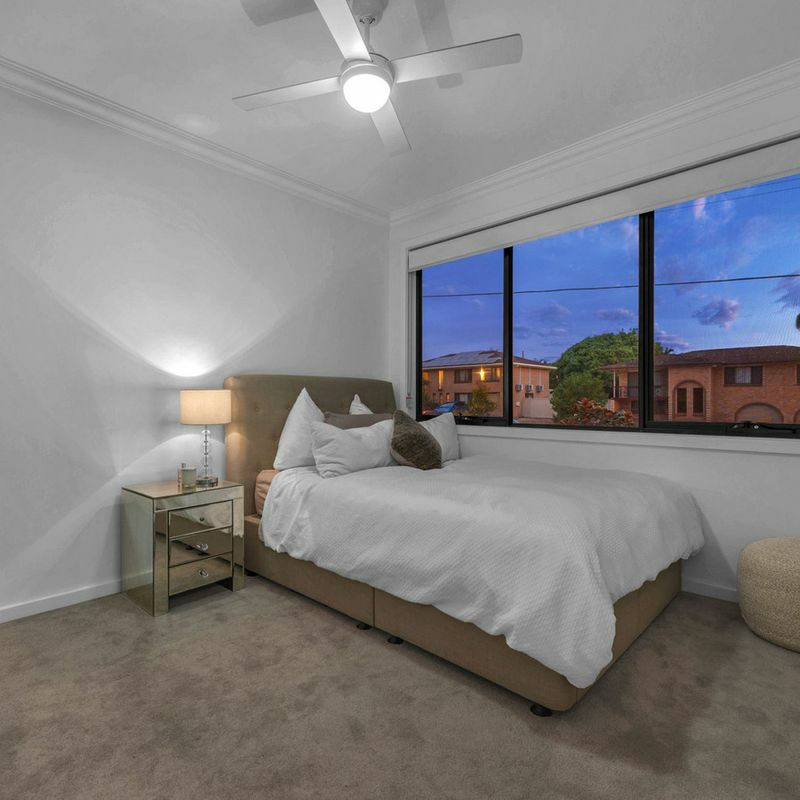 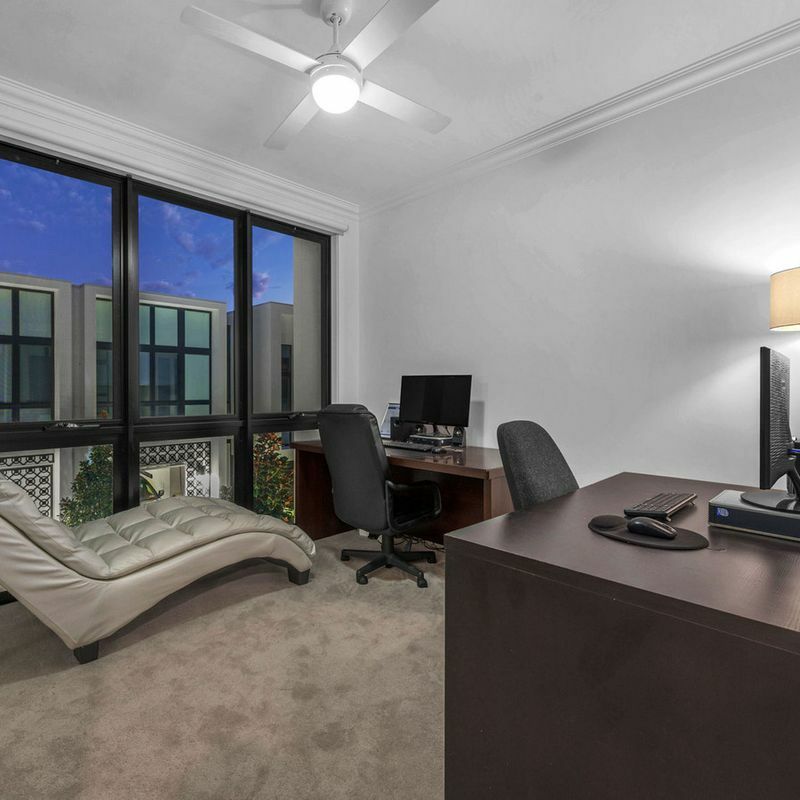 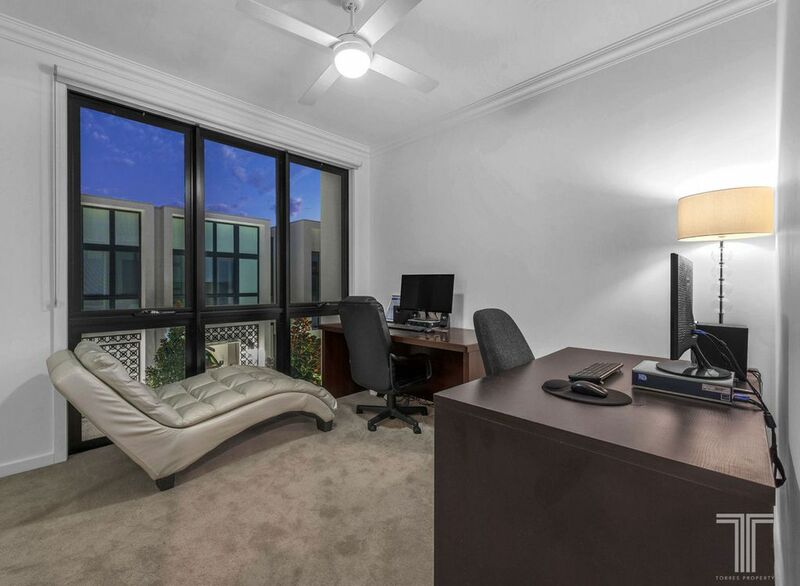 Conveniently positioned just moments from bus stops, local gym, Metropol Shopping Centre and Pacific Golf Club, this unit offers easy access to Westfield Carindale, Mt Gravatt Plaza, Aldi and local parks. 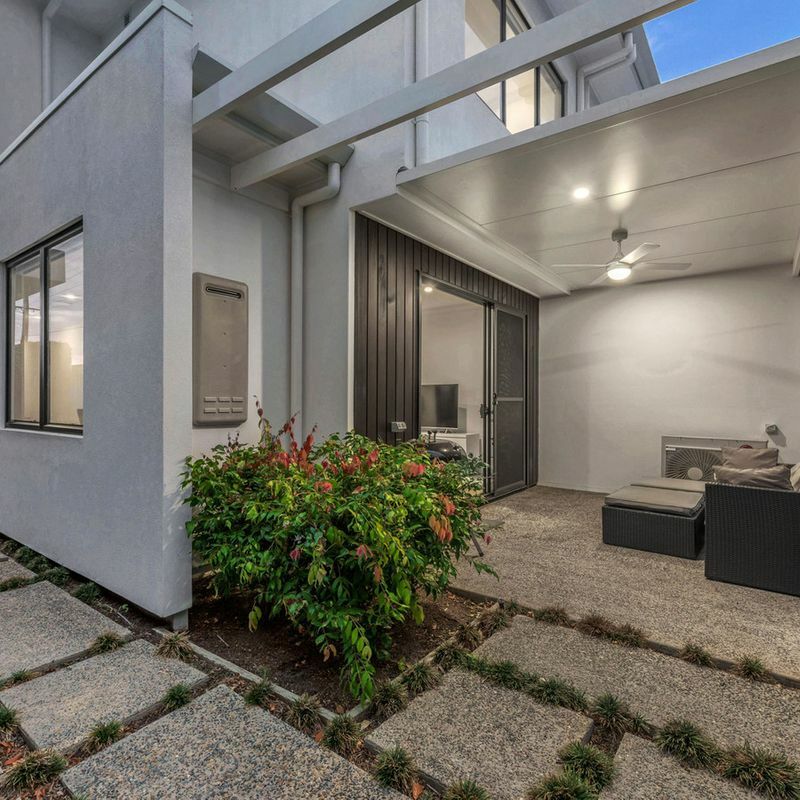 Close to quality schools, the Gateway Motorway and just 15 minutes to the CBD, 15 minutes to the airport and 20 minutes to the bayside, this superb setting has so much to offer.